If you don’t take a bite of today’s food, don’t worry: it’ll still be around, in pretty much the same exact form, 10 years from now. Or so the jokes go. December 27 is National Fruit Cake Day! 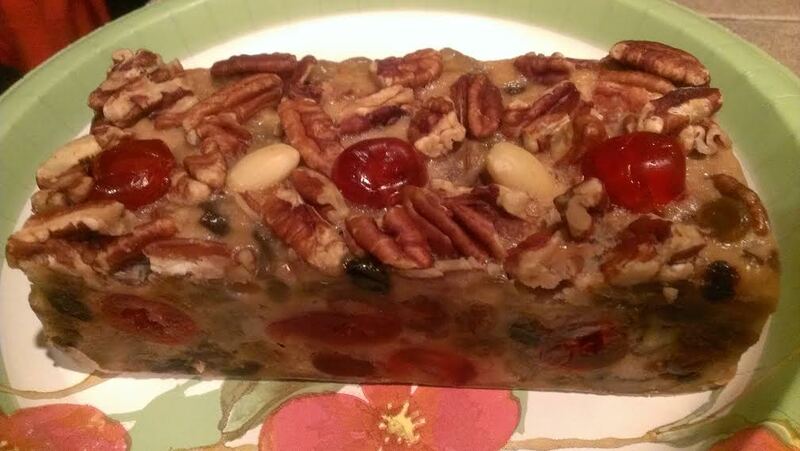 Fruitcakes are cakes made with chopped candied or dried fruit, nuts, and spices. They are dense and rich, with detractors complaining that they’re rock hard and nearly inedible. We can blame ancient Rome for this monstrosity; the first fruit cakes, containing a mixture of pomegranate seeds, pine nuts, and raisins – mixed with barley mash – appeared during Caesar’s heyday. They became popular all over Europe, and closely associated with Christmas, when fruit cake was often given out as a gift (and subsequently re-gifted). When made with alcohol, fruit cakes can remain edible for years! These overly preserved monstrosities get such a bad rap that a holiday devoted to getting rid of them – National Fruit Cake Toss Day – has been created (January 3rd). Hmm, this may have to become one of our first food challenges next year! To celebrate, we bought a fruit cake from the grocery store. Took a couple bites and decided its reputation is well deserved. Blech! Overly sweet and dense pretty much sums it up.